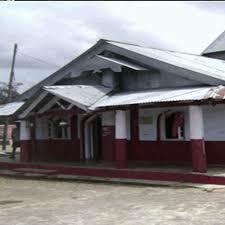 Here is Some Information about Jayanti Temple(Shakti Pith)in Meghalaya Assam India. The Jayanti Shakti Pith Temple Jaintia Hills in the State of Meghalaya Assam.The temple is dedicated to Goddesh Durga.About the Shakti Peetas, it is said as per the anciant books that there are 51 Shakti Peethas in this world, however the based on information from different sources collected we could collect 52 Sati Temples. It could be that out of the 52 mentioned below, one of them is not an exact Sati Sthaan, but it definitely is worth visiting and worshipping. We do not know for sure which one of the 52 below is not an actual Sati Sthan, however we are made to be sure that out of these 52, 51 are definitely Maa Sati's Shakti Peethas. The art and architecture of the temple is simple, but splendid. The temple is engraved in a hill and is surrounded by mountains, forests and rivers. The temple dome is covered with gold plated sheet. The temple has a large courtyard. There are three caves around the temple. The first cave has the idols of the holy Trinity- Lord Brahma, Vishnu and Ishwar. 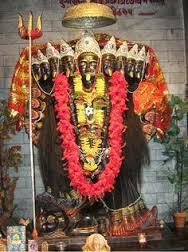 The second cave has the idol of Lord Shiva and the third cave has the idol of goddess Mahakali. By Road : There are many public and private vehecles available to reach Jayanti Shakti Pith Temple . By Train : There are many station and train available in Meghalaya . By Air : The nearest Airport in Meghalaya.